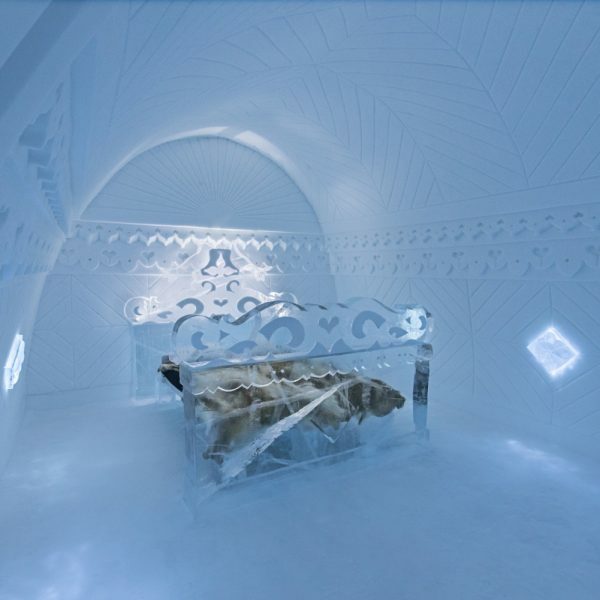 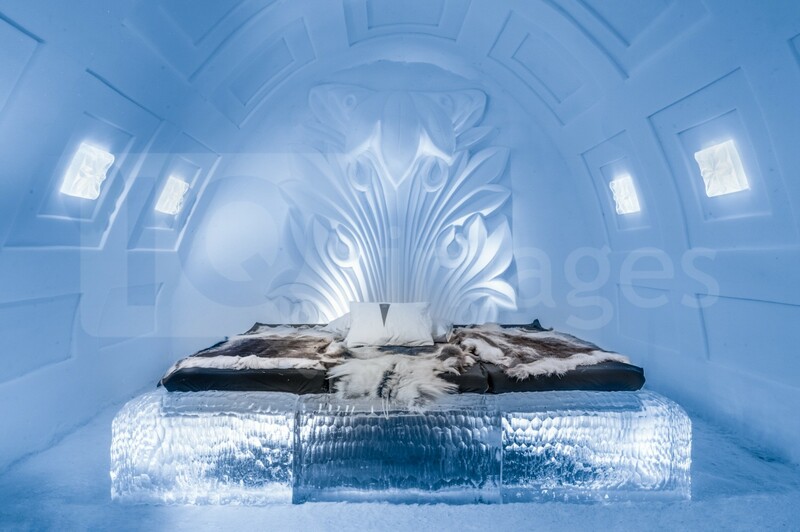 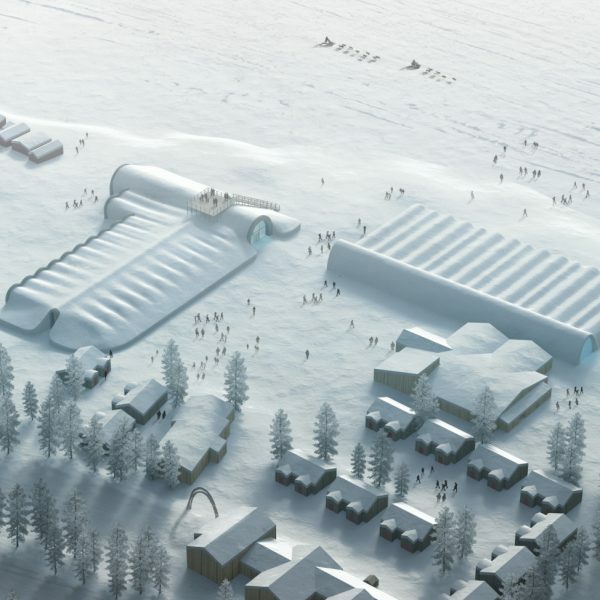 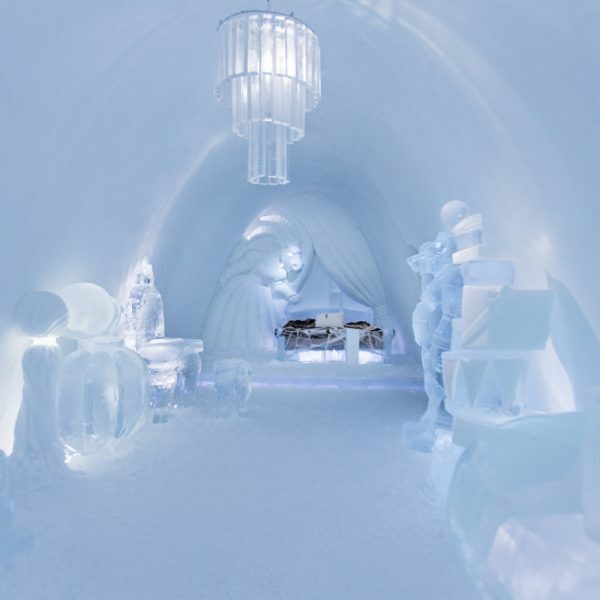 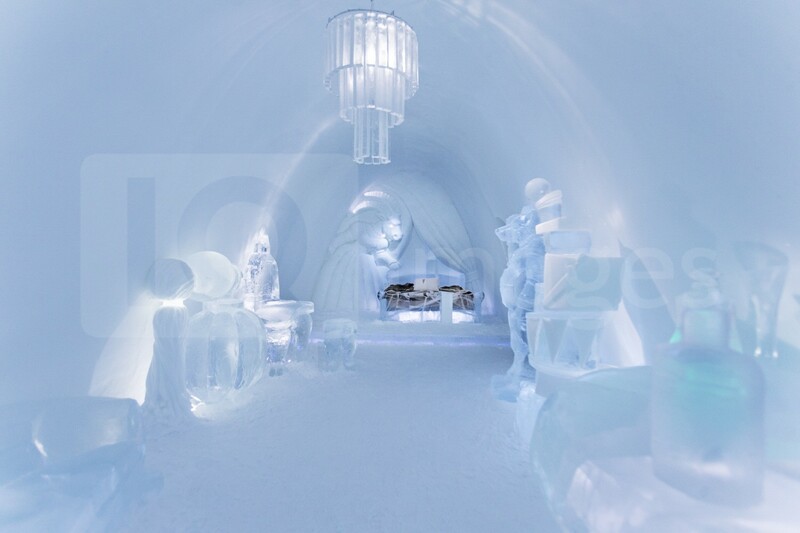 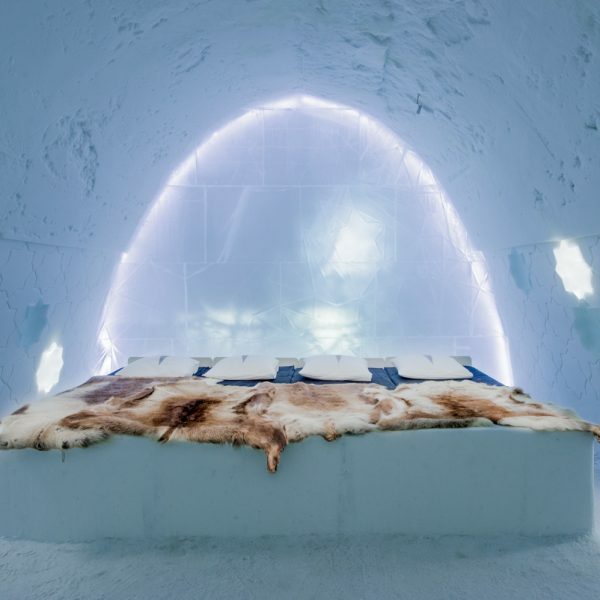 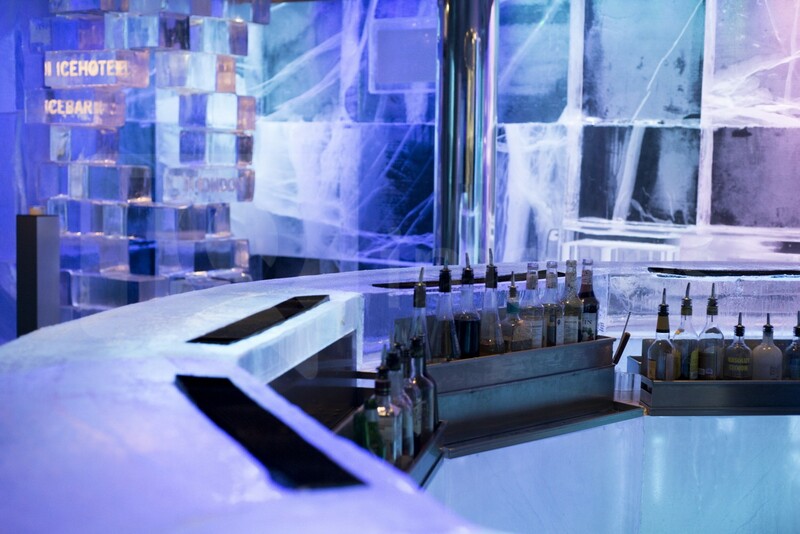 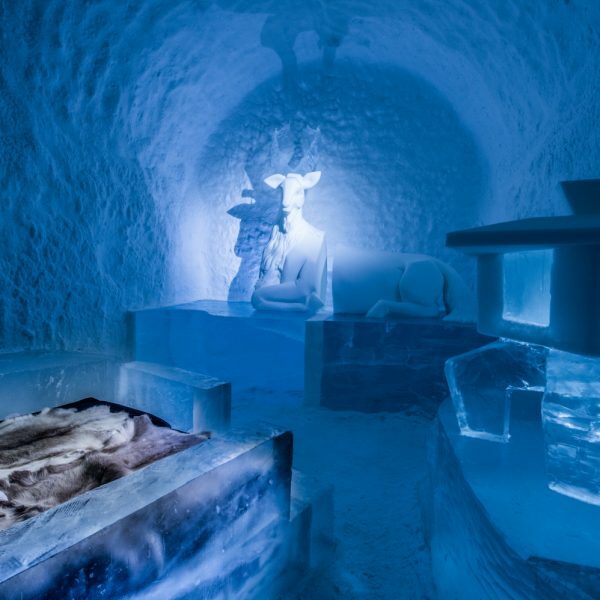 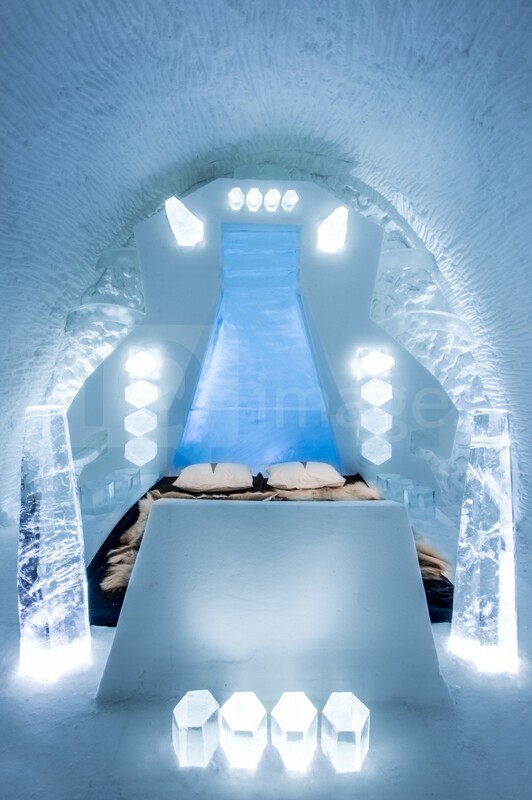 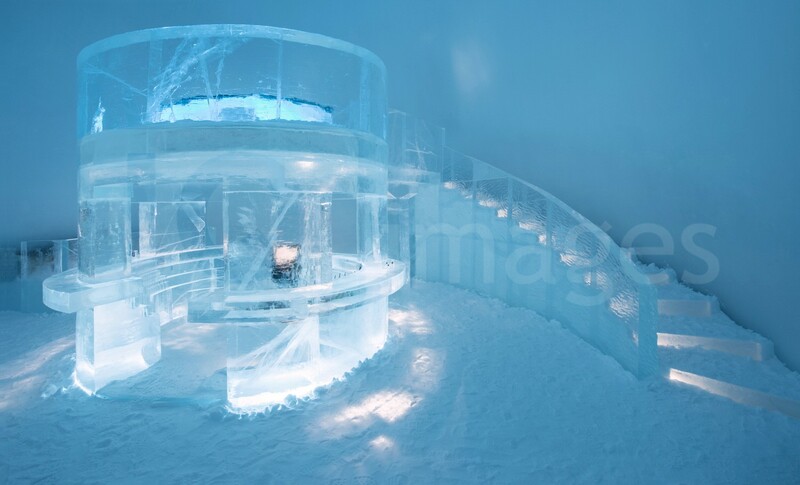 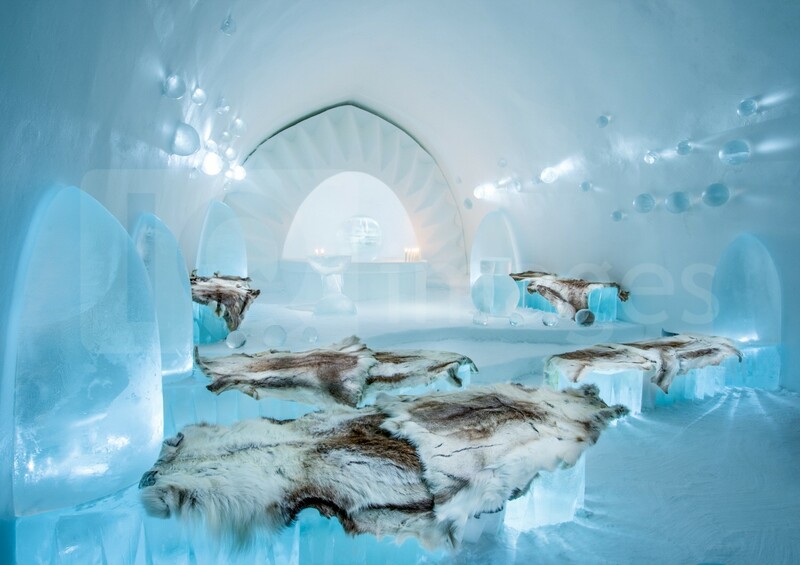 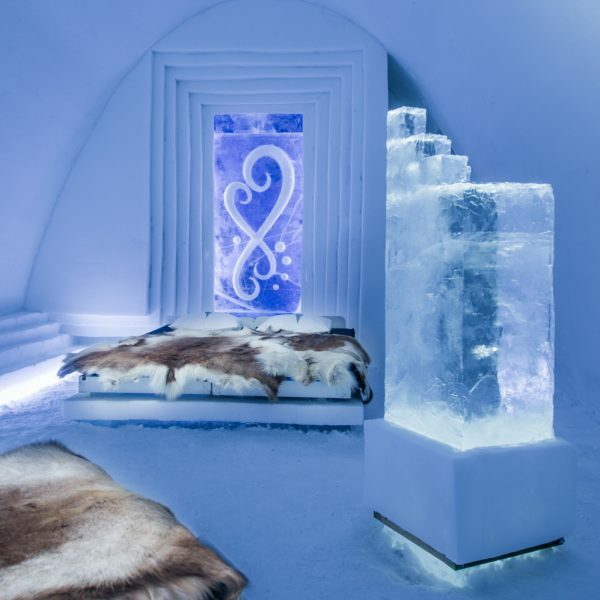 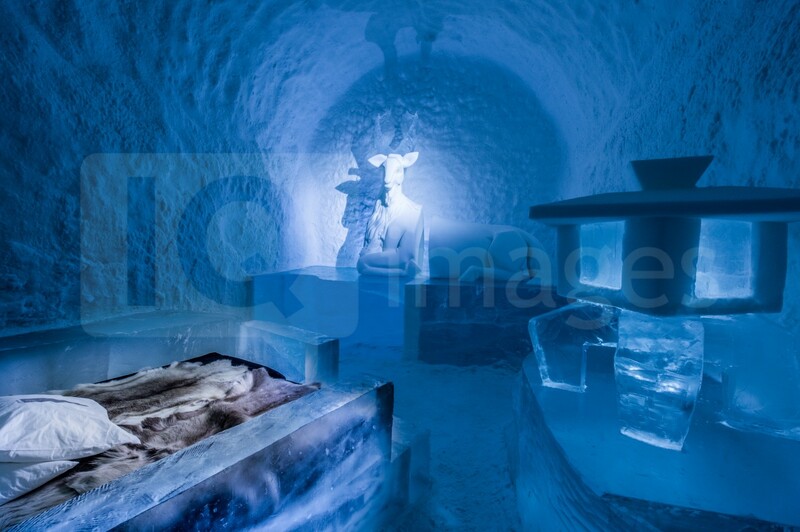 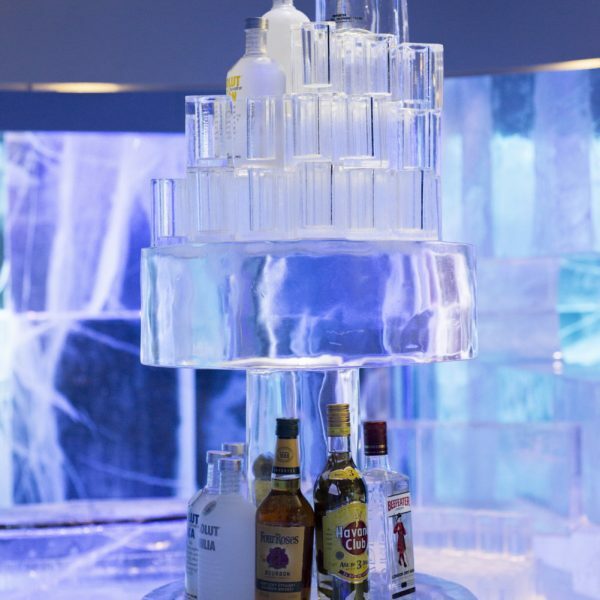 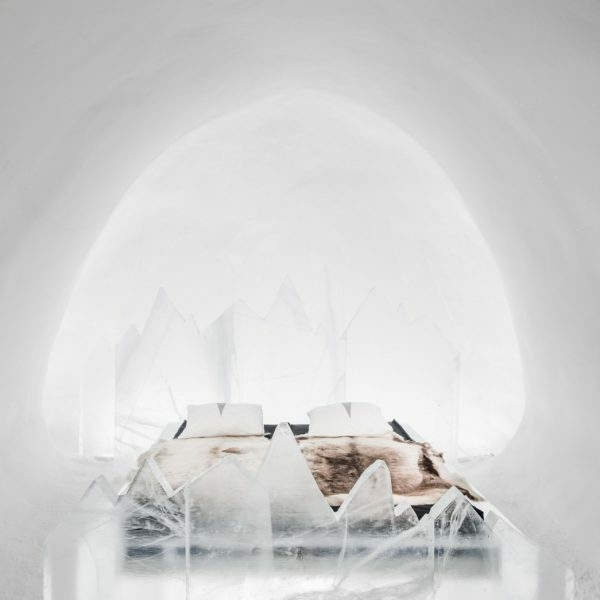 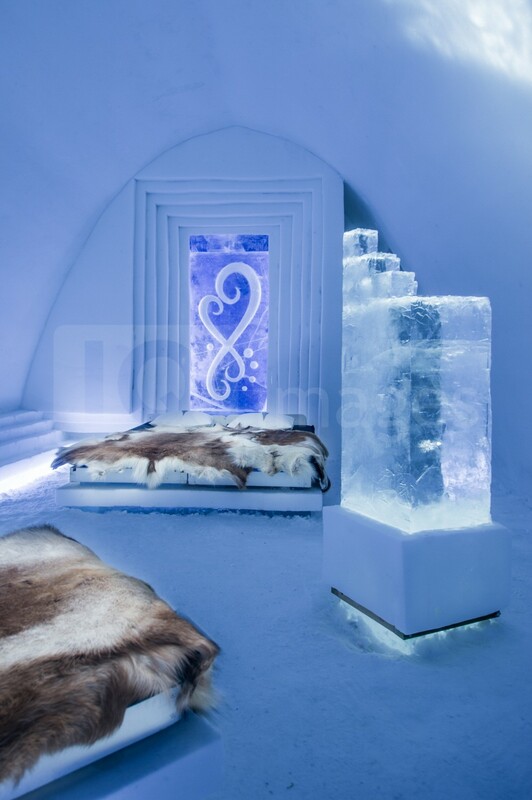 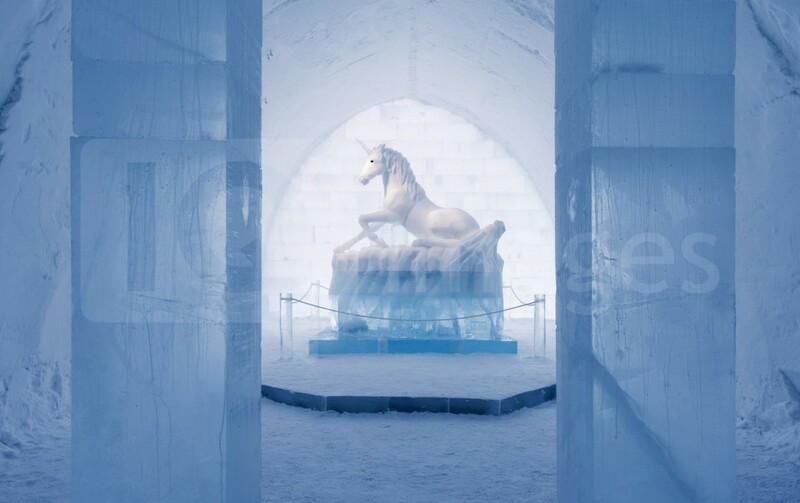 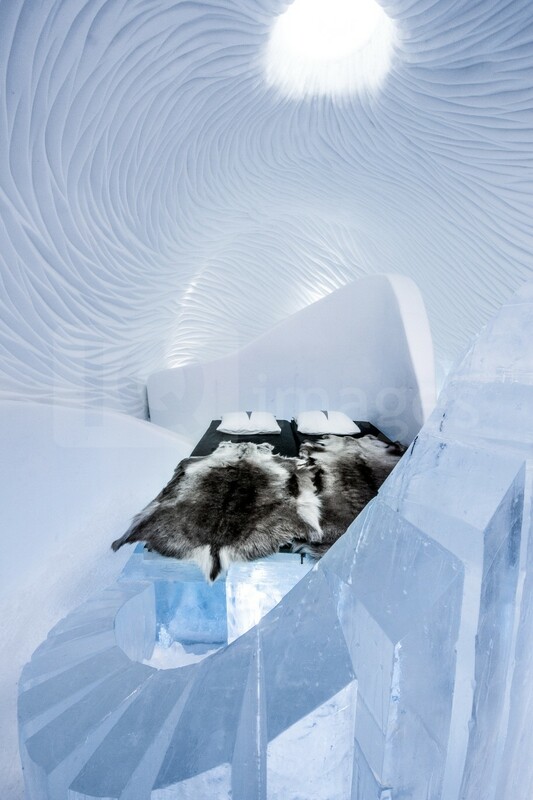 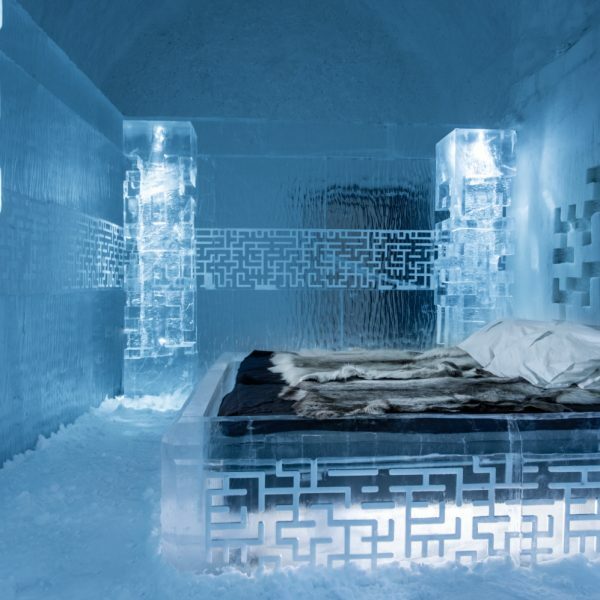 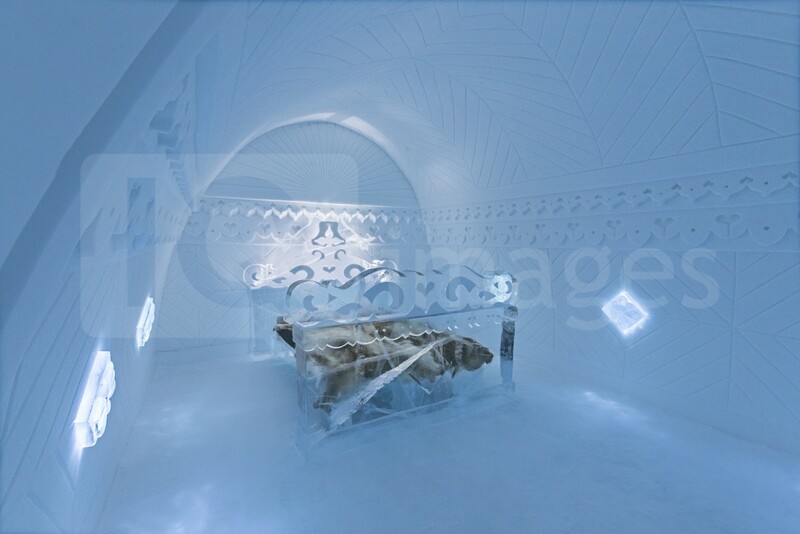 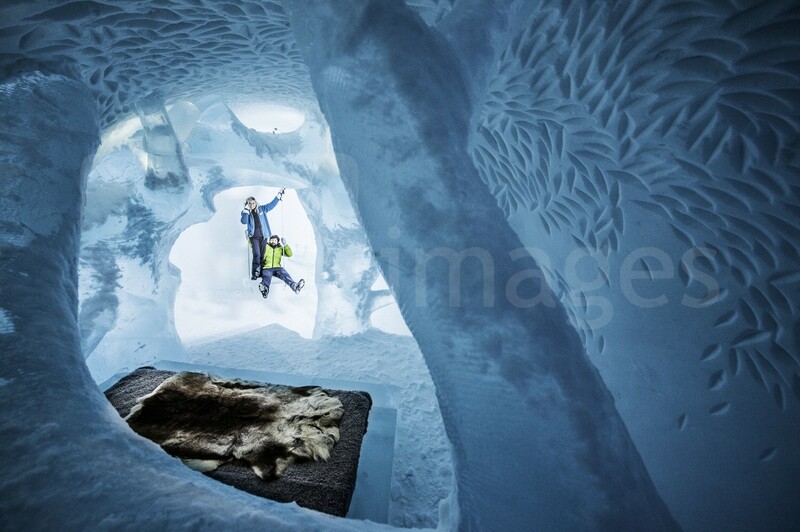 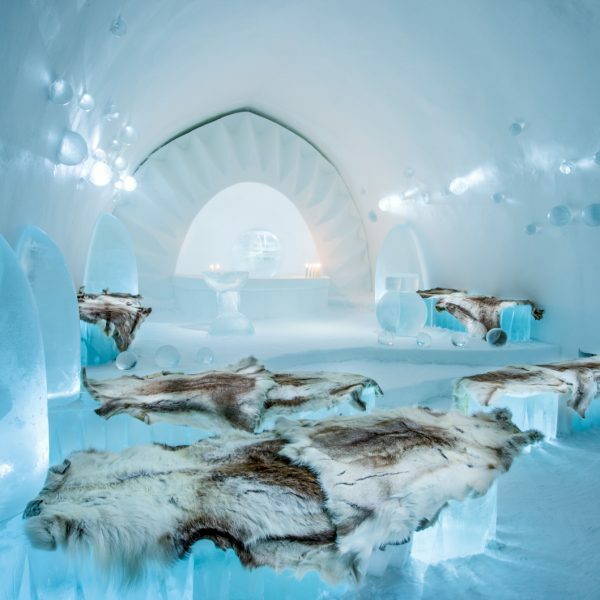 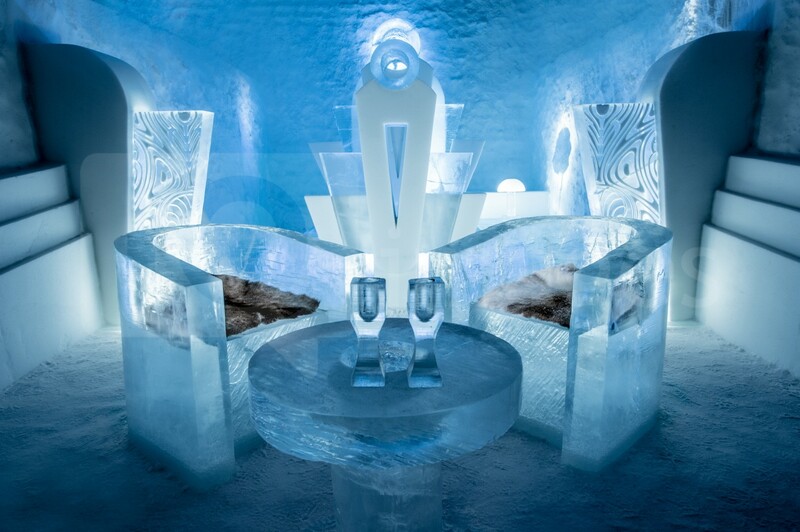 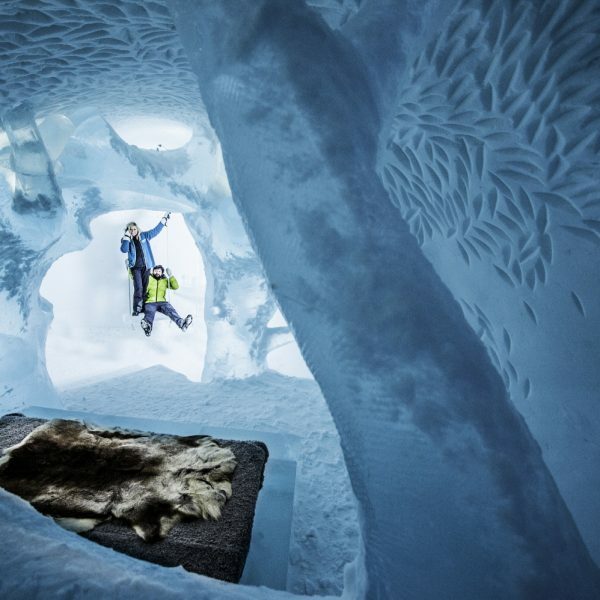 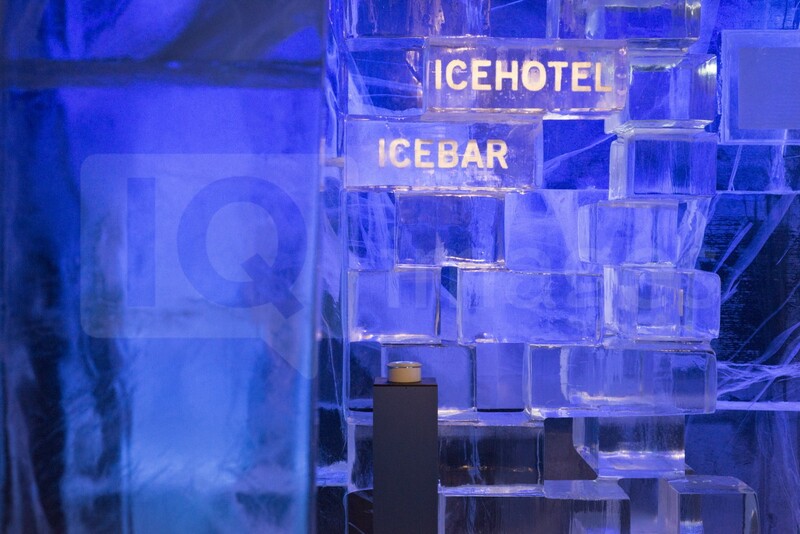 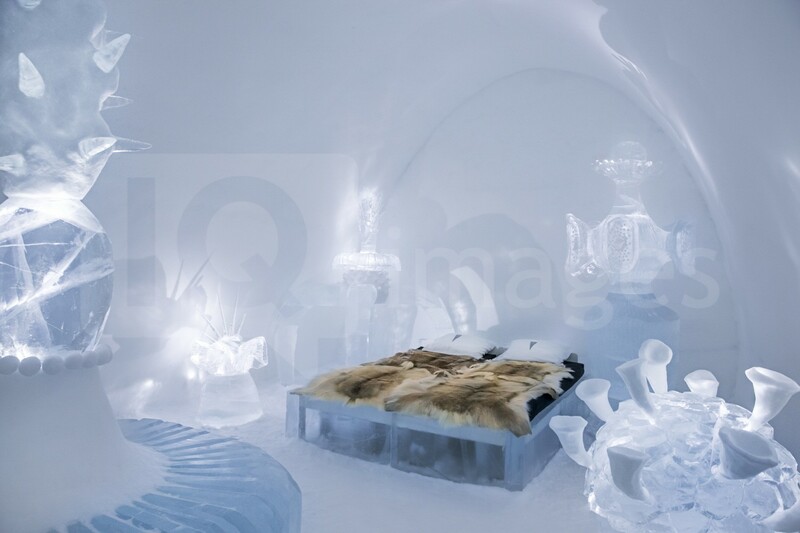 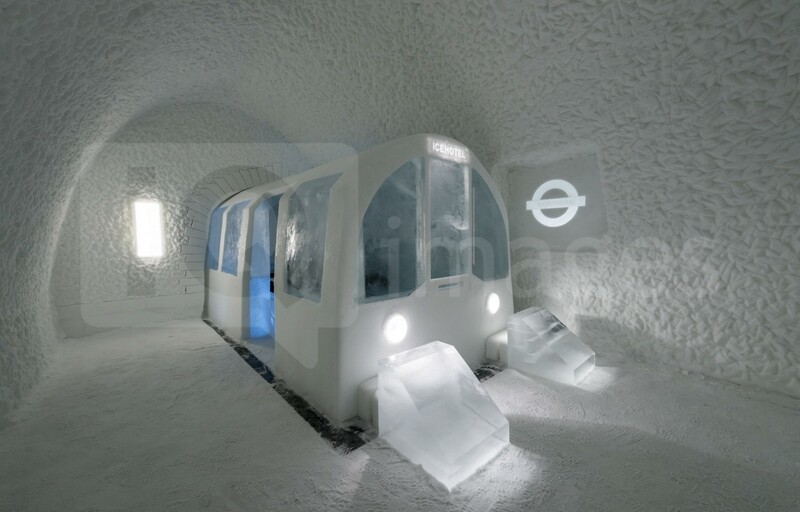 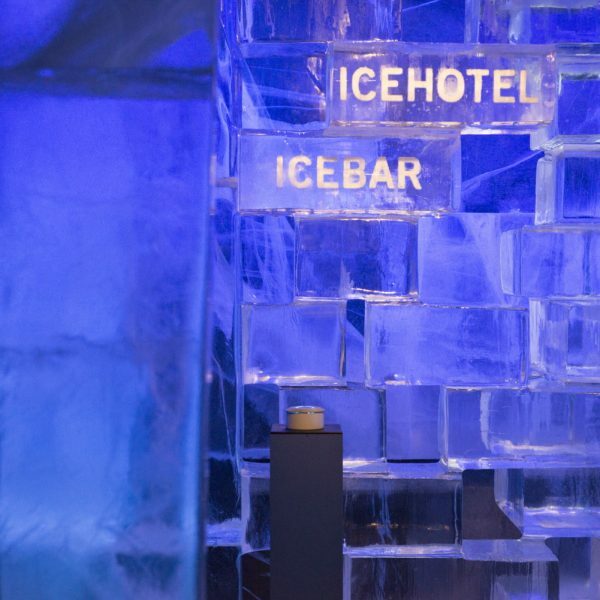 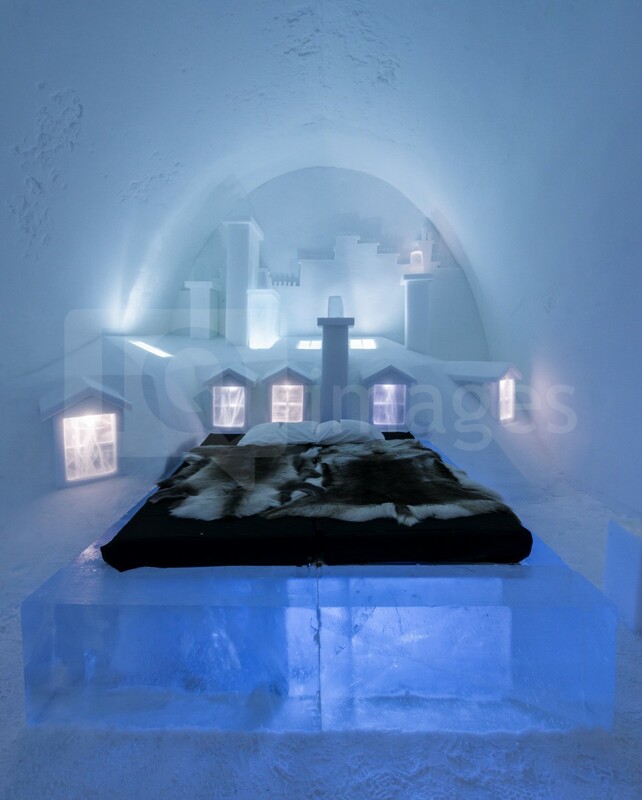 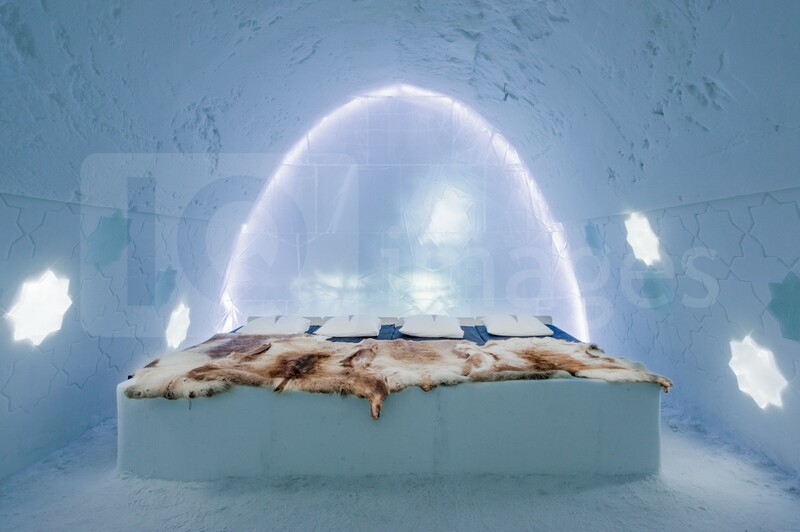 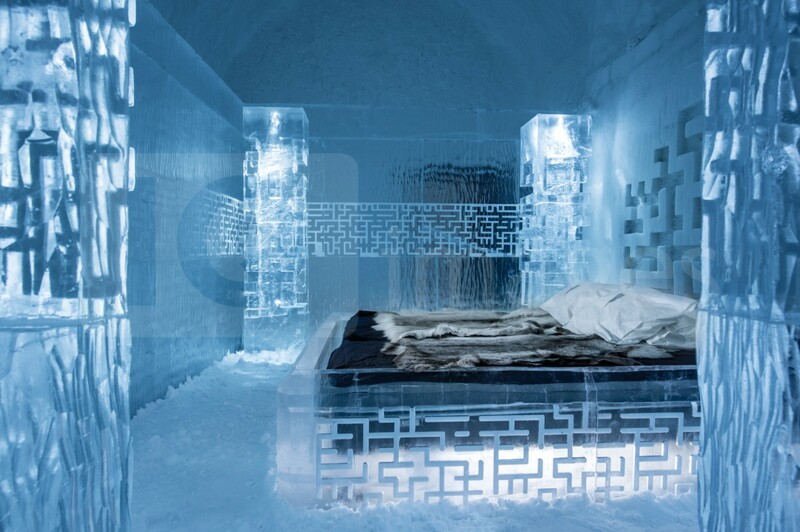 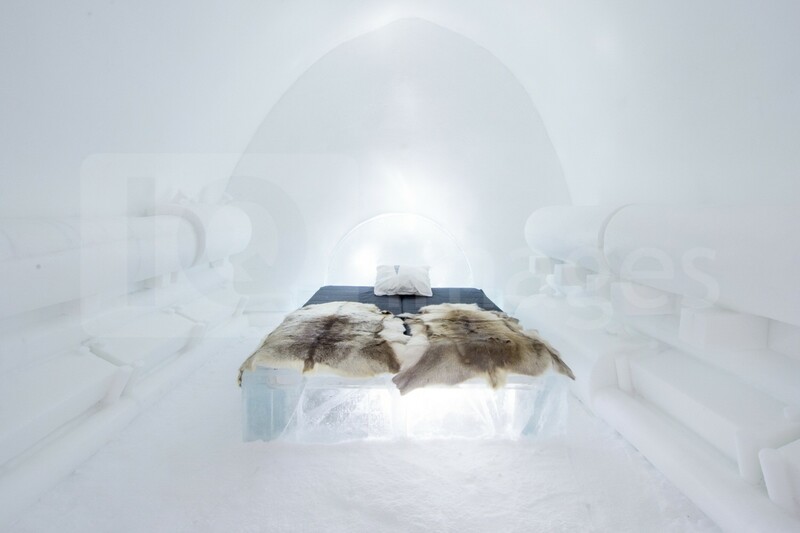 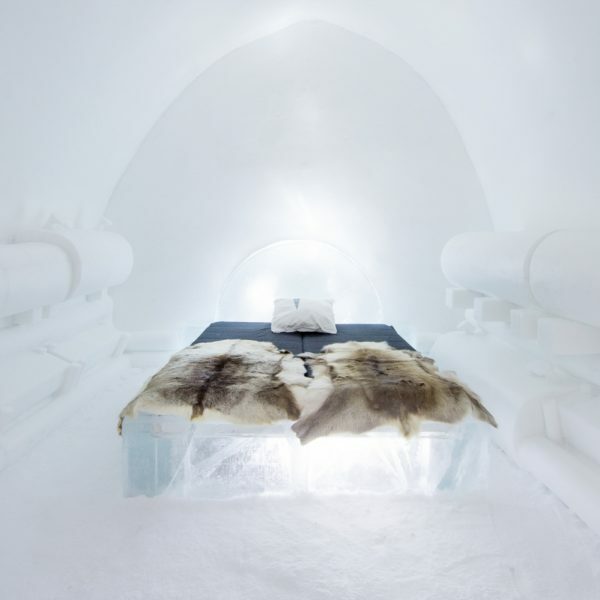 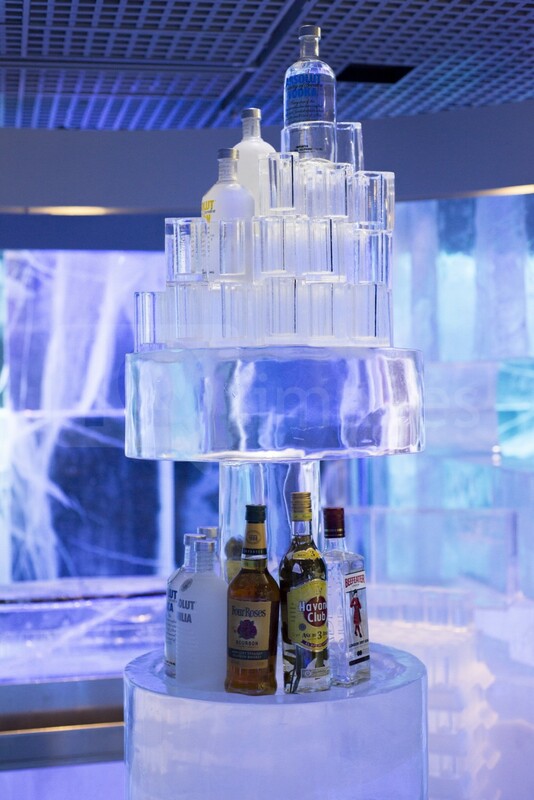 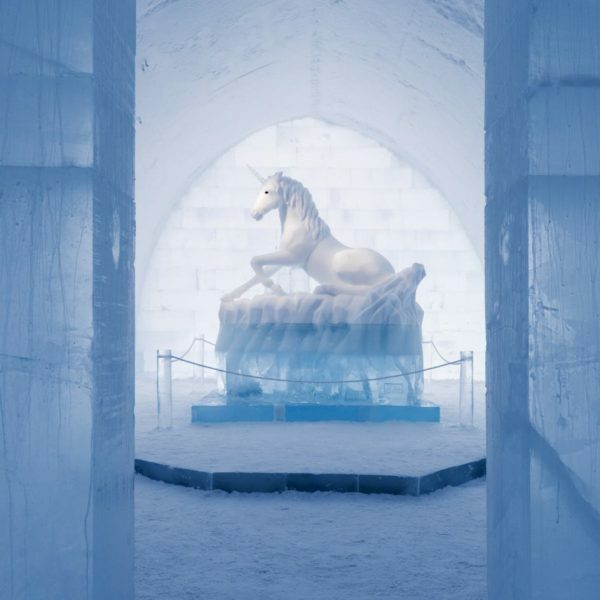 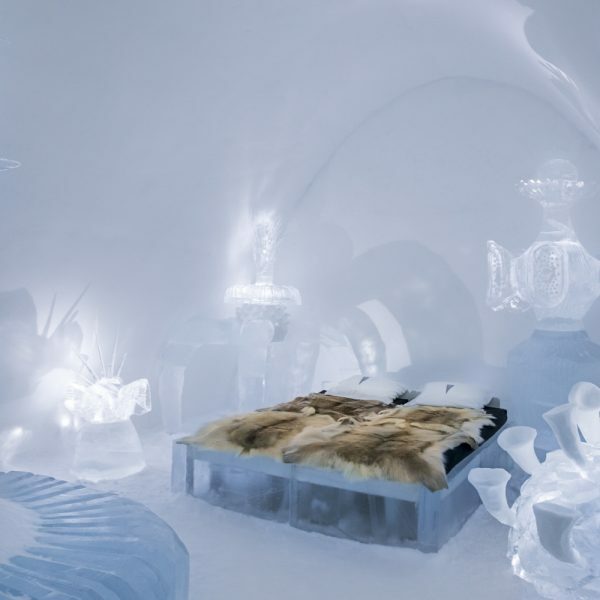 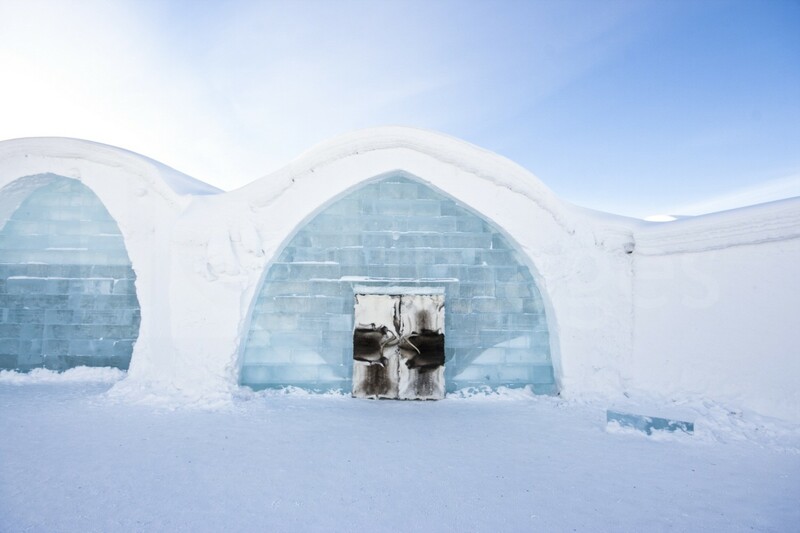 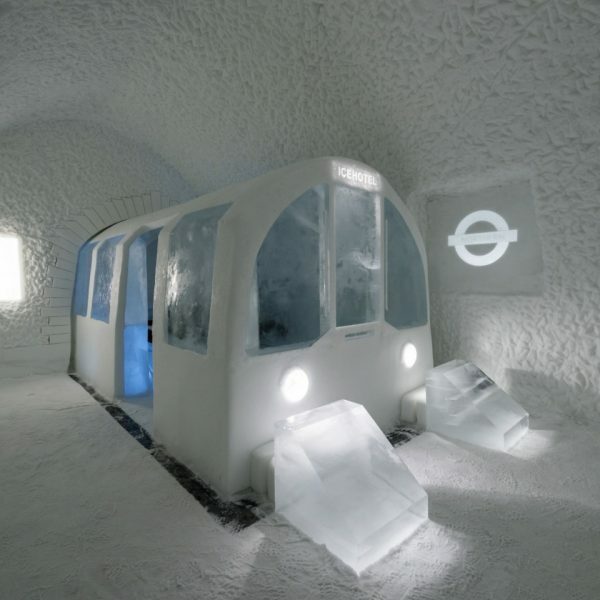 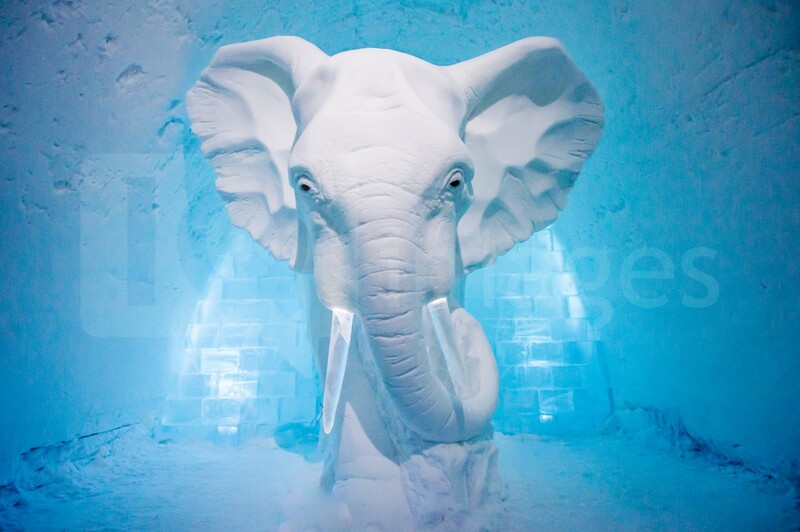 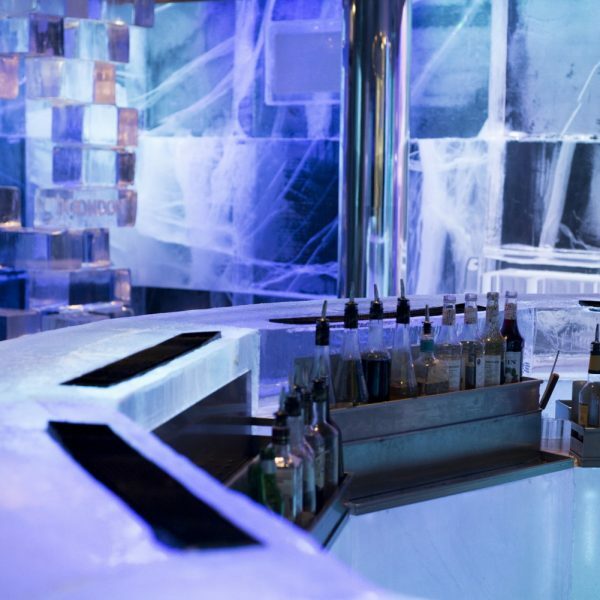 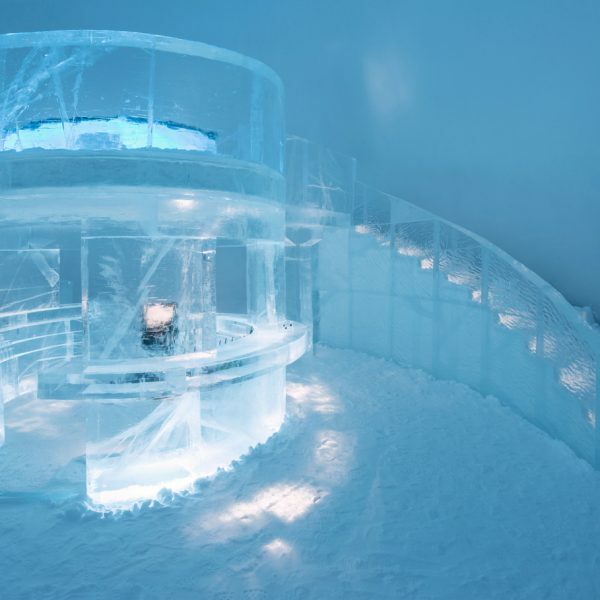 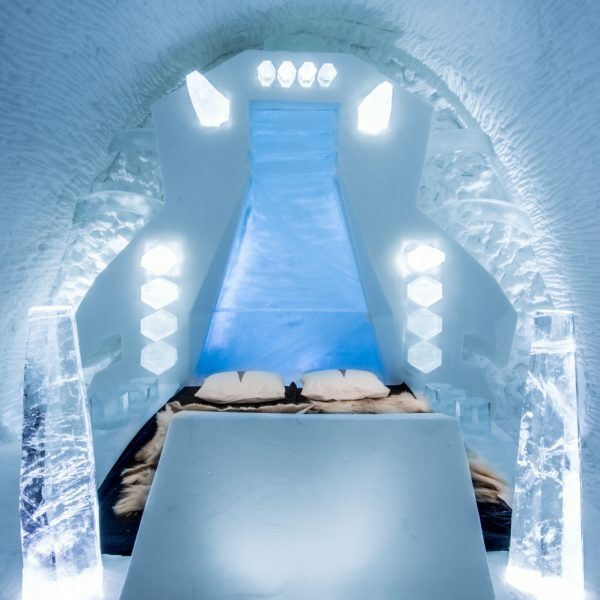 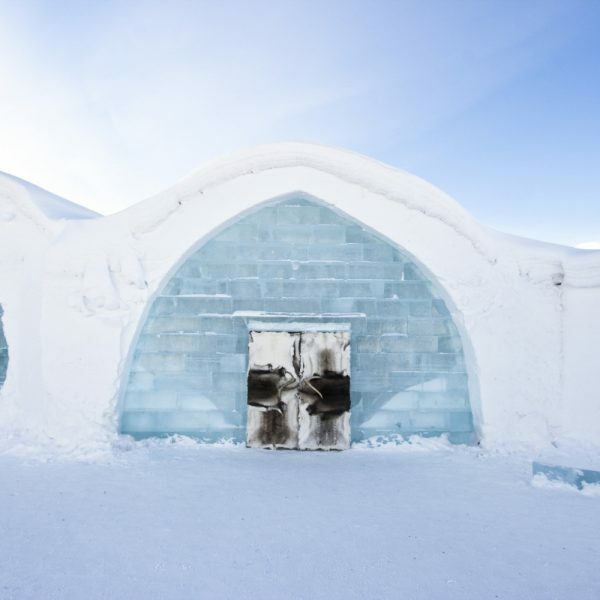 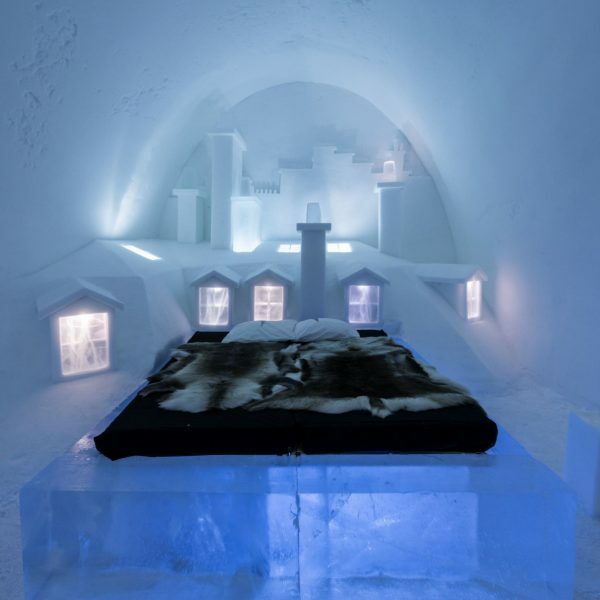 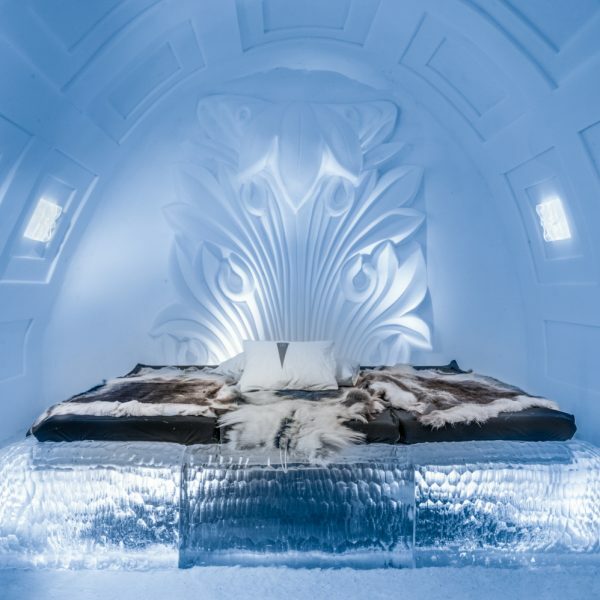 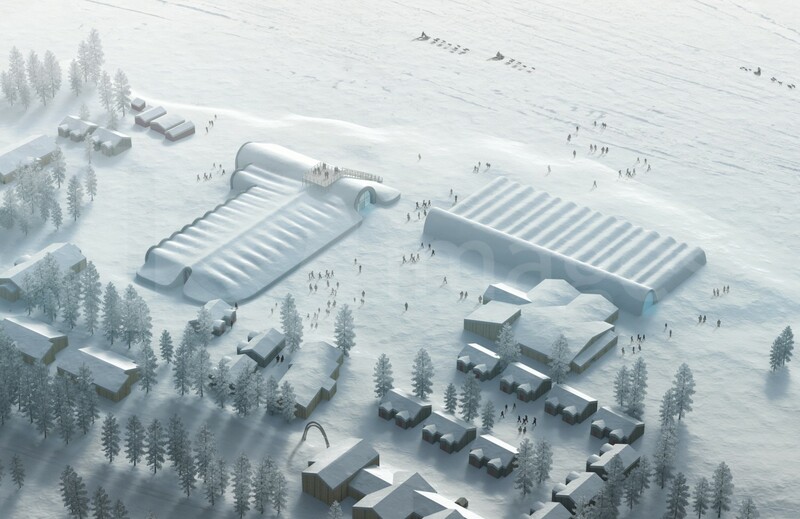 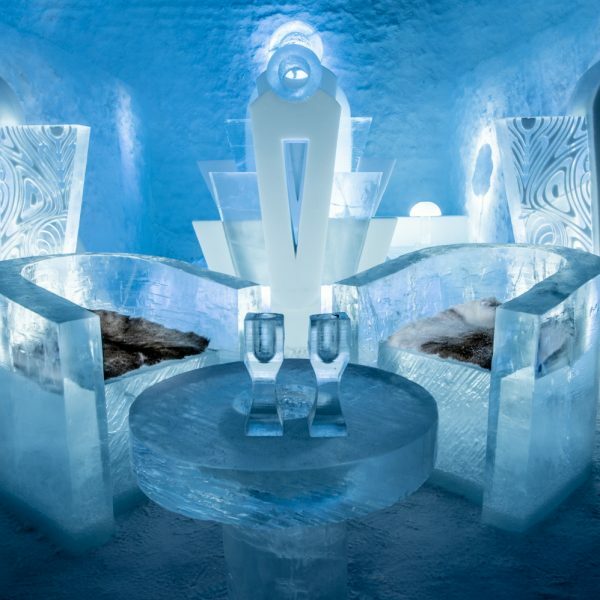 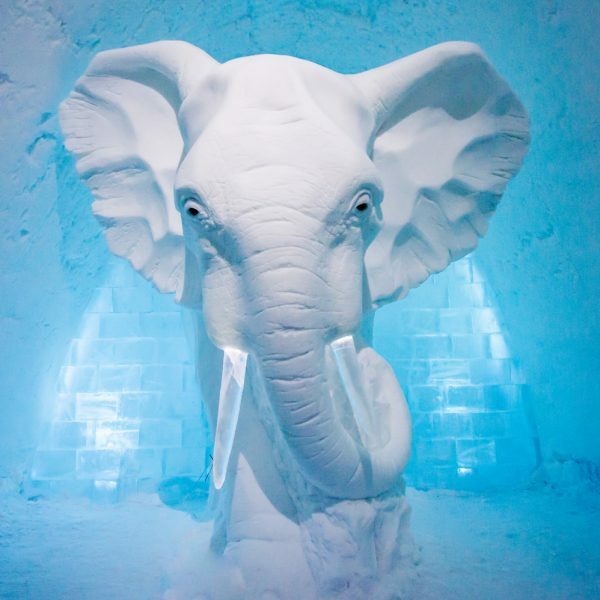 ICE HOTEL, 19 individually themed and hand crafted art suites have been newly designed by creatives from across the world ñ from a swedish artist who made a giant snow elephant in the room, to a french team who fused snow, ice and disco into a groovy sleeping experience. 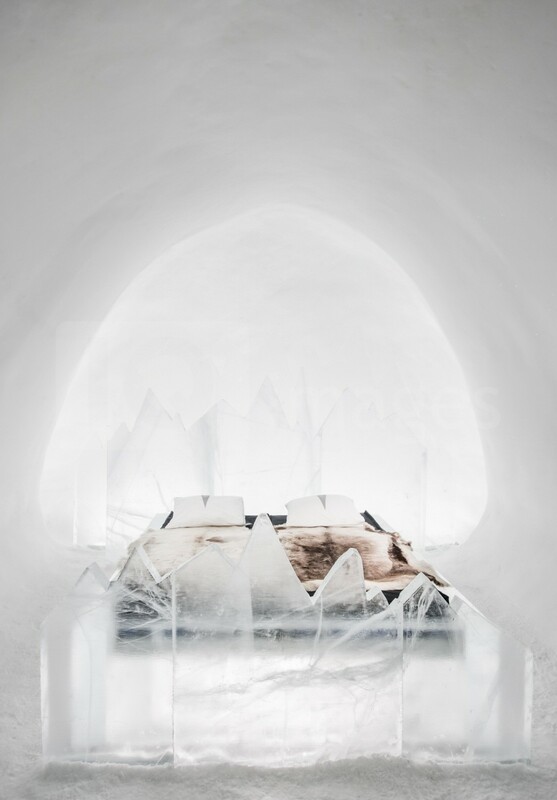 each year, the hotel creates a new series of artist-designed accommodation spaces that add to the existing landscape of private rooms. 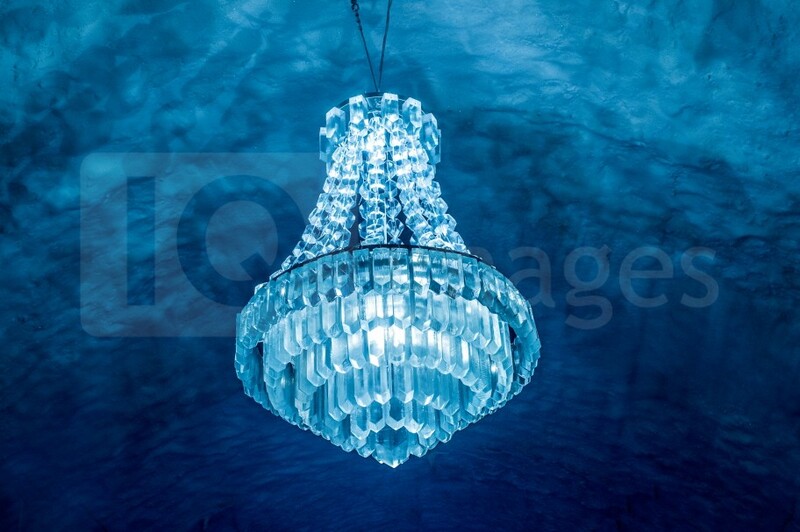 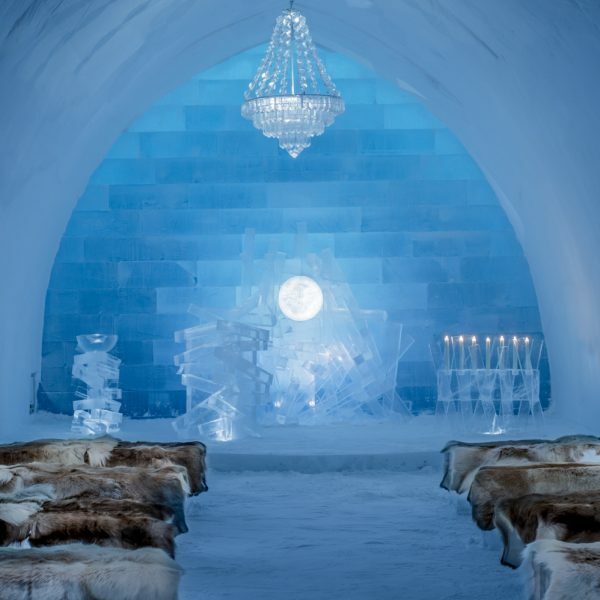 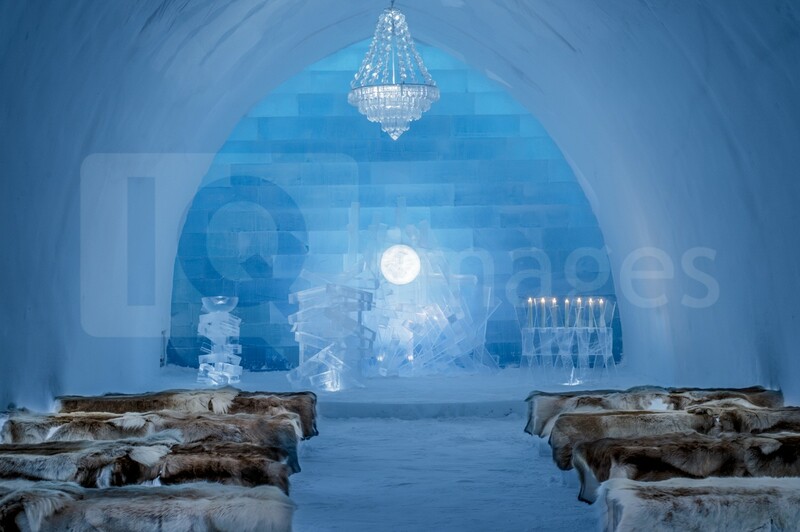 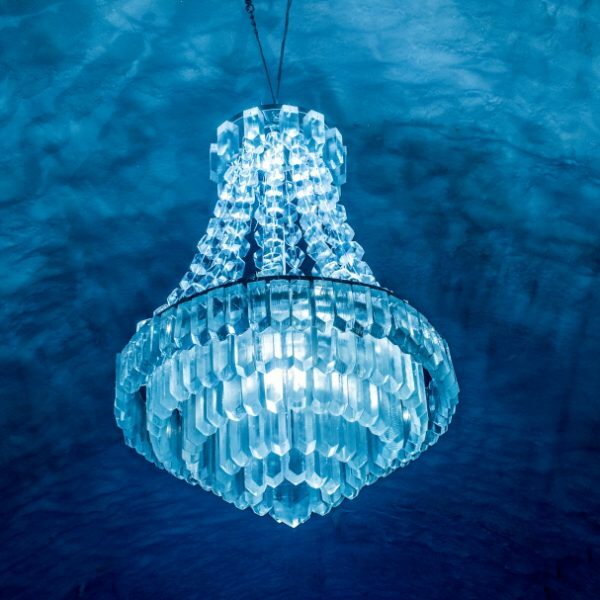 the amount of snow used to create its more than 50 bedrooms, church and a bar would make 700 million snowballs, while the chandeliers alone are made from 1,000 hand cut ice crystals. 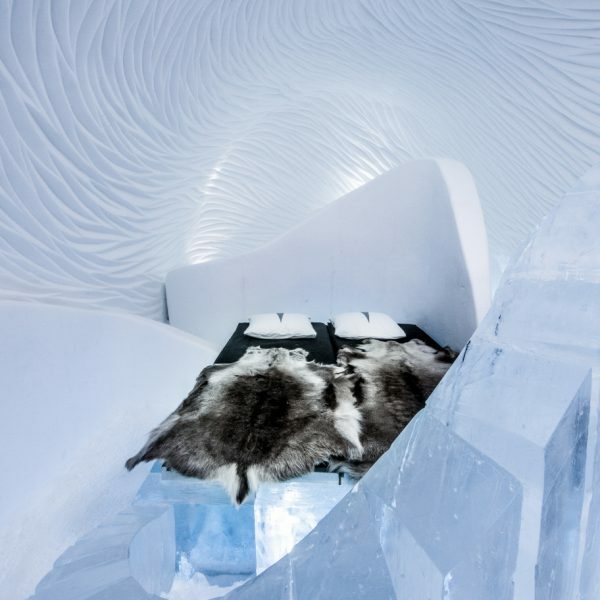 thematically, this yearís edition features flocks of animals from elephants to peacocks, patterns drawn from nature, architecturally-motivated designs and theater-inspired schemes.